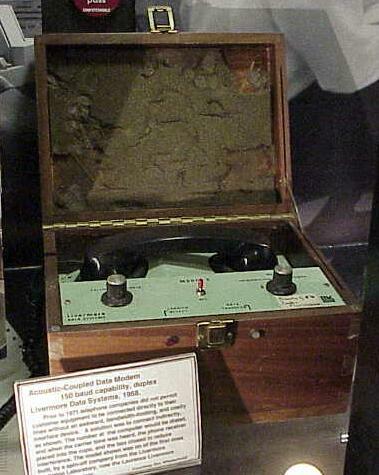 First, we used a KIM-1 microcomputer. 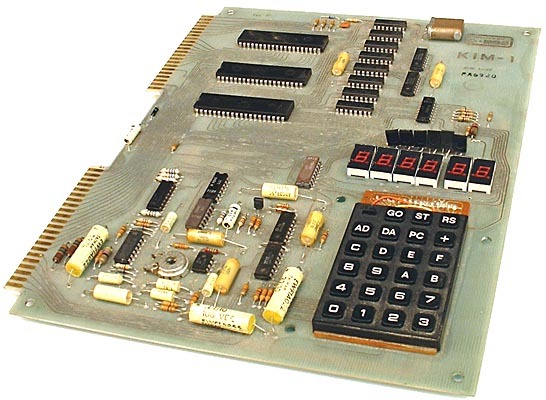 This 6502-powered beast had a whole 1024 bytes of memory, and no persistent storage. We used this to control a Perturbed Angular Correlation Gamma Ray Spectroscopy experiment. 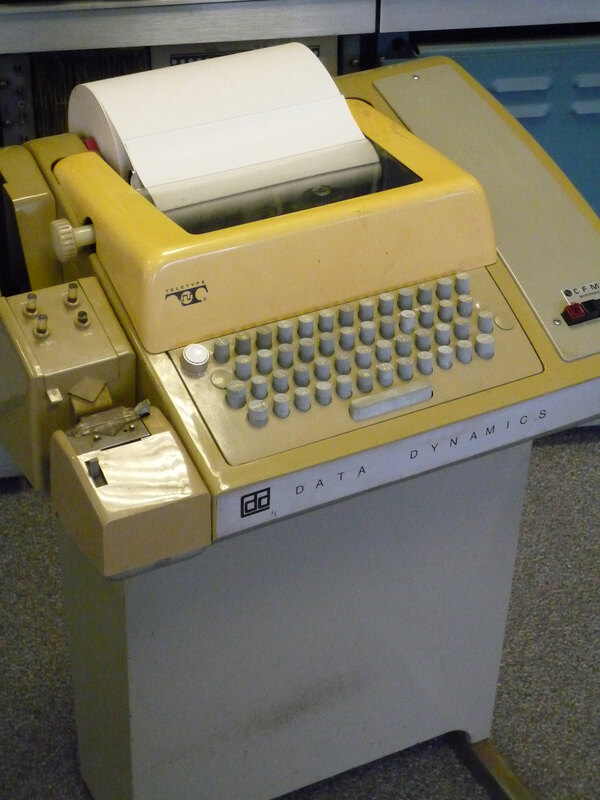 After the experiment ran for a while (collecting data in scalar registers), the KIM-1 would dump these registers out to a more “permanent” storage – in this case paper tape. This was great stuff to work with, frequently breaking, sometimes absorbing moisture and swelling. The experiment would generally run for a couple of days, after which we would have to process the data – which meant uploading it to the mainframe. For the upload, I used a very old (even then) teletype machine, connected to a screaming 300 baud acoustic coupler. Using this, we uploaded the data to the university mainframe, where I got to analyze it in one of my favourite languages of all time, APL!